In the span of about 30 minutes in the second half of their opener against Panama on Monday, Belgium displayed the heights of their potential, and the purest distillation of their flaws. After a first half with more squandered opportunities than most teams have in a full game, Belgium capitalized when Dries Mertens smacked a volley from the corner of the box past Jaime Penedo and into the back of the net. Just over 20 minutes later, Romelu Lukaku doubled his teamâs lead, and then six minutes after that added a third goal for good measure. It was what happened between the Belgi ansâ opening goal and their second that was cause for concern. In the 54th minute, down a goal and without much hope, Panama almost struck back. The gameâs opening goal felt like the punctuation at the end of a run-on sentence. For most of the match, the Red Devils dominated, probing and creating, until one chance finally went in. But just seven minutes after Mertens scored, Panamaâs Ãdgar Joel BÃ¡rcenas caught Belgiumâs defense napping, and picked out Michael Amir Murillo streaking into the box. Center back Jan Vertonghen tracked back as best he could, but it was no use. Only Belgiumâs keeper, Thibaut Courtois, could stop him. Murillo took a heavy touch, and unleashed, only for it to ricochet off the lanky netminderâs knee. Had Murillo brought BÃ¡rcenasâs ball down with an ounce more finesse, he may have had space to slot it home, and the game would have been level. Maybe it would have sparked a Belgian implosion. Or maybe theyâd have used their horde of finishers and notched two more goals anyway. Either way, Panamaâs missed chance highlighted the same cracks that have haunted the Red Devils for the better part of the past six years: They can score as many goals as theyâd like, but if defense remains optional, theyâll never win comfortably. Belgiumâs golden generation reached this summerâs World Cup in its prime. After disappointing performances at the 1998 Cup and the 2000 Euros, the Red Devils began revamping their national team structure. Development was emphasized over results at the yo uth level, and across the system, teams were encouraged to implement the same formation. Promising players were selected to play at one of eight publicly funded academies, and some eventually ventured beyond Belgian borders, and made names for themselves across the continent. The result was a collection of young players, all entering their primes within months of each other. And with their success, expectations followed. Their first act in 2014 was a strong showing of potential, and their third in 2022 will feature more players over the hill than those cresting toward the top. This is their last stand. There was a timeâ"after the 2014 World Cup when Belgiumâs youth announced their arrival on the worldâs stage, and before they were unceremoniously discarded at the 2016 Eurosâ"when the Red Devils were considered, at least by FIFAâs own metrics, the best team in the sport. They had yet to win any silverware, and their track record in major competition was largely disappo inting, but the collection of talent amassed on their sideline was bested only by the gameâs elite. When Roberto MartÃ­nez was appointed manager in 2016, it was to a chorus of disbelief. Belgium needed a coach with a proven track record of mending a broken locker roomââ"âsomething that haunted the team under his predecessor, Marc Wilmotsââ"âand his inability to solve a similar problem at Everton led to his removal. The split between the Dutch-speaking Flemish and the Francophones from the south is a common one in the Western European state. Wilmots was not a superior tactical mind, but he believed that as a Francophone whoâd wed a Fleming, he could repair the divide. Unfortunately, progress never showed, and Wilmots was replaced. MartÃ­nez, though not one of the gameâs most effective strategizers, is an upgrade. 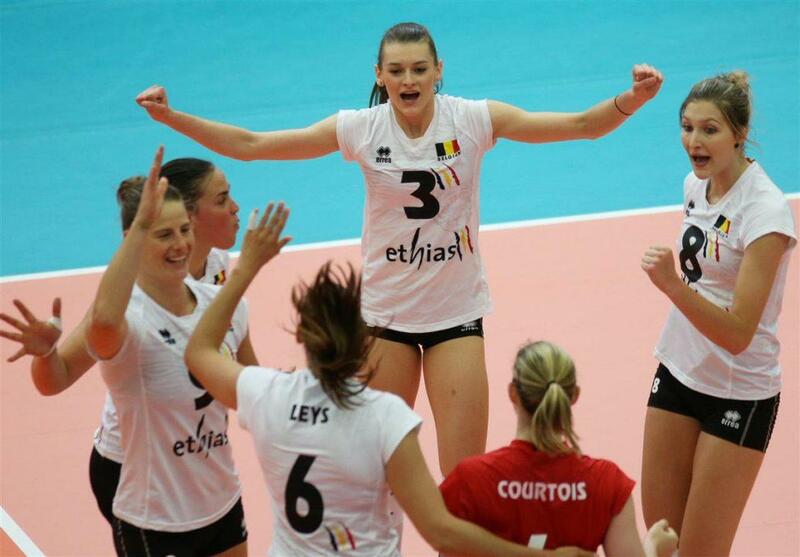 After slipping in the continental championship in 2016, Belgium has rebounded. After their opening win over Panama, FiveThirtyEight ra nked them as the fifth-best team in the world, slotting in just behind France and Germany, and ahead of England and Argentina. Now, on the eve of their second group stage game, MartÃ­nez has the responsibility of meeting the lofty expectations that have followed his team for years. In 2014, the Belgians were just getting started. 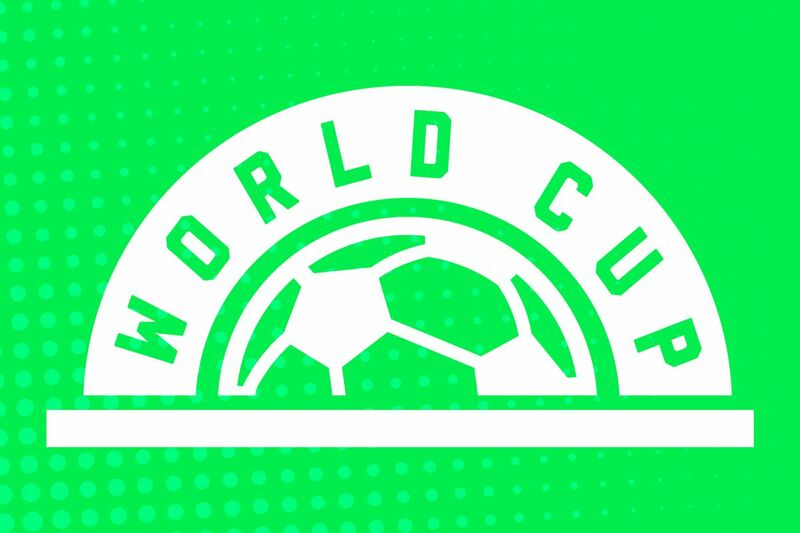 They dropped only four points during an undefeated qualification run to reach their first World Cup since 2002. The architects of their success were just entering their primes, and the team had enviable talents scattered across the continent. Some, like Eden Hazard and Vincent Kompany, were established pieces on Englandâs top teams. Hazard, then just 23, had already scored 23 goals and notched 18 assists in 69 career games for Chelsea. In the months before the Cup, heâd added a Premier League Young Player of the Year award to the two heâd previously collected in Ligue 1. Kompany, meanwhile, was 28, and after leading Manchester City to it s first Premier League title since the late â60s, and another two years later, was among the best center backs in the world. Younger players like Romelu Lukaku, who scored 32 Premier League goals in his two preceding seasons, and Thibaut Courtois, who had just led AtlÃ©tico Madrid to the top of La Liga behind his second consecutive 20-clean-sheet campaign, carved out roles in the first team, while supposed down-the-line contributors Divock Origi and Kevin De Bruyne combined to play a hand in five World Cup goals. Outside of longtime defensive stalwart Daniel Van Buyten, no Belgian player who made the trip to Brazil was older than 29, and 10 were 25 or younger. The mix of youthful exuberance and flashy attacking made them a popular dark-horse pick. That choice was rewarded when, despite scoring only four goals in the group stage, Belgium topped the round-robin, winning all three of their matches. They survived a pesky American team in extra time in the round of 16 (thanks in part to a Chris Wondolowski shank), before crashing out against Argentina in the quarterfinals. It was the expected result coming into the tournament. Argentina was a championship favorite, and a 1â"0 loss seemed commendable. So, too, was a 2â"1 win over the Stars and Stripes. But gazing past the match reports, problems appeared. At no point in Brazil did Belgium look the part of world-beaters. The same was, unfortunately, true at the 2016 Euros. The Red Devils entered the tournament looking to build on their good, if uninspiring, performance at the World Cup. At the time, they were the 10th-best team globally in Elo rating, and fifth best in Europe. But they limped beyond the group stage, losing to Italy 2â"0, beating Ireland 3â"0, and just edging past Sweden thanks to an 84th-minute stunner from Radja Nainggolan, who was notably left off this yearâs squad. A thrashing of Hungary asideââ"âthe Jules Rimet Trophy was still being awarded the last time they we re considered a soccer powerââ"âBelgiumâs trip to the quarterfinals was reminiscent of the one theyâd taken two years prior. Only this time, instead of falling to the world runners-up, it was a 3â"1 loss to â¦ Wales. Wilmots was gifted a cabal of attackers unlike any his country had ever seen, and managed them to mediocrity. He was sacked quickly thereafter. His teams were more skilled than almost any opponent they faced, and had nothing to show for itââ"ânot in hardware, or visual display. Thatâs the rub with this Belgian team. Theyâve been blessed with limitless attacking talent, and boundless potential to create. They have no trouble showing it against lesser foes. But more often than not, they fold against top competition. Their game hearkens back to the mid-2000s Phoenix Suns under Mike DâAntoni; when things are clicking, they can outscore any challengers. But on both good days and bad, they struggle to keep the ball out of their own net. Sti ll, things are getting better. The Red Devils saw an improvement during qualification under MartÃ­nez. They were the first team to win entrance from Europe, turning in another undefeated campaign. But unlike in the lead-up to 2014, they did it with style. Four years ago, Belgium scored 18 goals in 10 qualification games, and allowed four. To reach this tournament, they scored 43 and let in six. Only Germany scored as many goals during the same time, and only five teams conceded fewer. Some of the uptick can be credited to management. But more of it can be credited to good timing. Fifteen players in the 23-man squad also made the trip to Brazil, and those who didnât were replaced by budding superstars and high-upside role players. Belgiumâs key performersââ"âCourtois, De Bruyne, Hazard, and Lukakuââ"âare all firmly in their primes, and among the best keepers, midfielders, and strikers on the planet. Their supporting staffââ"âwing backs like Yannick Carrasco and Thomas Meunier, and midfielders and forwards like Axel Witsel and Dries Mertensââ"âhave all spent time as part of competitive Champions League clubs, and only Mertens sits on the wrong side of 30. The most troubling questions asked of this team focus on the strength of its three central defendersââ"âToby Alderweireld, Vertonghen, and Kompanyââ"âwho anchor the back of a 3â"4â"2â"1 formation. Only Alderweireld is younger than 30, and only Vertonghen played more than 17 games in the Premier League last season, with Alderweireld missing time with a recurring hamstring injury, and the oft-sidelined Kompanyââ"âonce the defining piece of a Belgian defenseââ"ârarely healthy enough to see the field. Kompany missed the Panama match with injury, and isnât expected to play again until the teamâs final group-stage tie against England. Whatever progress the team has made will matter little if it canât capitalize on itââ"âwelcome to international s occer. Itâs not likely Belgium will field this loaded a squad for some time. The sun rose quickly over its national team. It can set just as swiftly. Barring injury, Hazard, De Bruyne, and Lukaku will still be talented enough to carry a team through qualification in 2022, and perhaps even past the group stage. But this is the best chance they will ever have to take the Cup. If Belgium win their group, they could face a succession of games that looks like this: Colombia, Germany/Brazil, France, and then Spain. That would seem an insurmountable draw, even for the best teams. 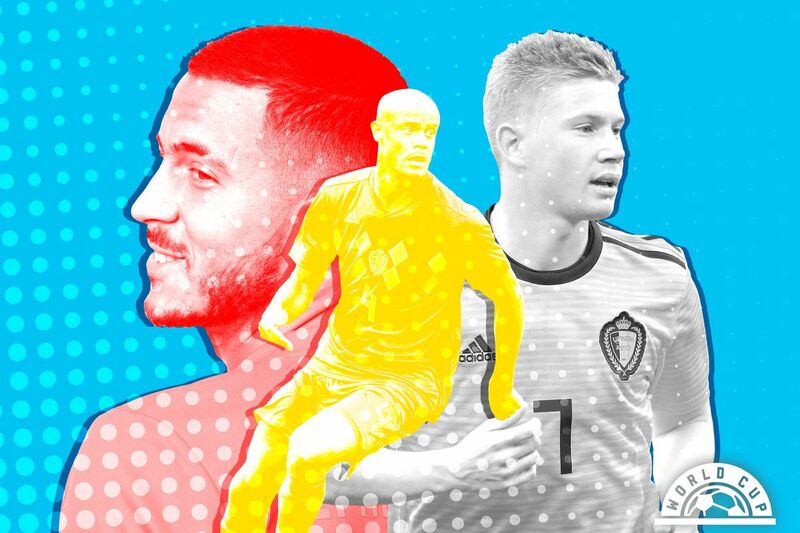 But if Belgium can finally put it togetherââ"âif Hazard, De Bruyne, and Lukaku can form a holy trinity of beautiful passing, striking, and scoring, and Courtois, Vertonghen, and the rest of the back line can hold steadyââ"âthere might not be a team that can beat them.